Whether you own your own boat, go on a luxury Caribbean yacht charter, or take a cruise, there is nothing quite like Caribbean sailing. Navigating the crystal blue waters under a sun kissed sky, in and around the tropical Virgin Islands and Bahama Islands offers an idyllic sense of peace and serenity that you will find nowhere else. If you have not been to the Caribbean, you cannot possibly know what you are missing, and you should book your next vacation there immediately. If you have visited the Caribbean, you already know the paradise that awaits. You need not be a yacht owner to enjoy a Caribbean sailing vacation in style. Charter a yacht that comes with its own crew. Your only worry will be to figure out how to take it all in at once. The crews of these chartered boats know the islands and the waters, and will do their best to ensure that you get the most from your trip. They can even take you on a long caribbean sailing cruise, which will let you just relax in the sun and swim in the sea. A day at sea beneath the warm, Caribbean sun, will make you feel you have come as close to paradise on earth as you can possibly get. If you are a fisherman, you can charter a yacht with a crew of boatsmen and professional fishermen who will help you make the catch of a lifetime, and these experienced professionals will not only help you reel it in, they will even help you get your catch cut into fillets or prepared for mounting on your wall at home. Your yacht captain and crew will also know all the best ports so that you can spend the day shopping in San Marcos or Freeport, or have dinner and go dancing in St. Lucia. No one knows and navigates the waters and islands of the Caribbean like these men and women who have made a living knowing exactly what tourists want from their vacations and where to find those elements for them. 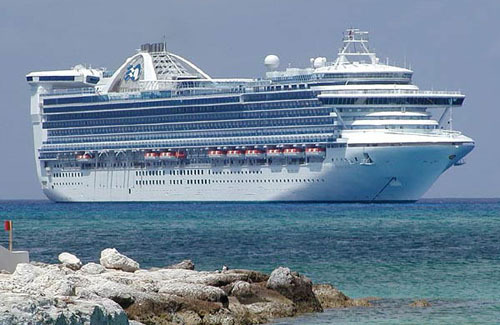 If you would like a grander experience, you may choose to purchase tickets on board a cruise ship. These ships are enormous and the goal of the ships' crews is to make each visitor feel like a king or queen, to make sure that everyone on board the ship has fun, and has all the food and drink they would like. From swimming, sun bathing, and relaxing on the deck, to dancing, partying, and dining in style, these cruise ships offer all the luxury and fun you can desire against the amazing backdrop of the Caribbean seas and islands. Each cruise ship has its own ports of call. Depending on the cruise line you take, you may visit the Bahama islands of Freeport and Nassau, or any number of the breathtaking Virgin Islands. Some cruise lines own their own private islands as well, where they will transport parties of people for the day for music, food, and fun. Regardless of how you choose to travel, Caribbean sailing is the kind of experience that everyone should enjoy at least once on their lives, and if you indulge at least one time in your life, you are likely to go back for a repeat visit again and again. You can even go to one of the many Caribbean sailing schools around to learn as a beginner, brush up on your knowledge or get licensed to sail you own boat with passengers! There are truly no waters clearer and more blue, no skies more beautiful, and no islands more exotic. 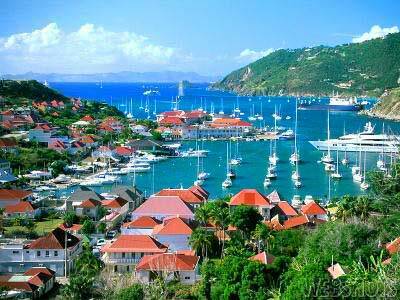 Well within reach for North American travelers, this paradise is a day's travel via air and boat, making it easy to plan a Caribbean sailing adventure for your next vacation. Because of its proximity, the Caribbean also offers a relatively inexpensive opportunity to enjoy the luxury of the tropics as you tour these beautiful islands and waters. Boatbookings.com is the world leader in online yacht charter and will help you have the best holiday possible. Just fill out the form below and they will get to work finding you the perfect boat.